Listing a product on Amazon is simultaneously the most important and most underappreciated tool in an Amazon vendor’s arsenal. A properly listed item will practically win the “Buy Button” on its own without the need for bloating your product page with superlatives, gimmicky catchphrases or even a presence outside of the Amazon marketplace. This blog will take you through the checklist of creating a strong listing in a manner that answers your questions without having to delve through hours of reading to get the full picture. Amazon has a catalog which contains products from tens of thousands of businesses. This means that for the sake of the customer, as well as ease of use for vendors, they have consolidated many of these products into singular “Product Pages”. Therefore, when two vendors list an item with the same “Product Identifier” (e.g. SKU, EAN, ISBN), they will be consolidated into a single page. *Only the original person to upload the product identifier, whom Amazon calls the “Page Owner”, may edit the metadata of the product. If you have edits you would like made to one of these pages, you must contact Amazon directly since you cannot directly contact the Page Owner. What Makes a Good Product Listing? All products on Amazon are listed as a “page” instead of an individual item. Each page is used by any vendor listing the same item. The following image is a page that a customer would see at the time of this blog’s writing. To help simplify the criteria Amazon desires on these pages, I will cover this particular page piece by piece to help you visualize the concepts. To keep the concepts from cluttering, I have broken this blog into sections; focussing on the most important general ideas using images containing red highlights. Make sure to check the links as well, as they will assist in answering your questions! The image contains a white background. These are supporting images which showcase the product at different angles. There are images of accessories/individual components of the product set. With those three primary criteria in mind, you can begin to create your product images. If you aren’t taking dedicated photographs with the purpose of Amazon listings in mind, I would suggest making use of Adobe Photoshop (or alternatively the Open Source program GIMP) to make sure your images are up to snuff. Don’t make your title too complex. Keep to the keywords which a customer would use to search for your product, and leave the rest to the description itself. After all, there’s a reason that your listing is a full page! Your title has already done the job of helping prospective customers locate your product, but now your product page needs to explain what makes your product special. The product description should be able to answer almost all of your customer’s potential questions so that they don’t have to ask you or leave the page to find the answers. Your description is also a powerful tool towards gaining traffic from Google (as opposed to only Amazon) so don’t underestimate how important it is! Avoid superlatives at all costs! The reason I am making this the first point is because it appears unprofessional. Anyone can say their product is “good” or “tough” but, ultimately, it’s all subjective to the customers’ opinions. If you sell mailboxes, your “durable” wooden frame is objectively weaker than that of an iron mailbox. Even wood has variables, as White Oak isn’t as durable as African Rosewood. Keep the adjectives in check and the customer will appreciate being allowed to decide for themselves what a product’s strengths are. Notate all dimensions, the weight, and specs. Your product description should leave little to the imagination in terms of what the product is capable of and what the product comes with when ordered. Does your product offer certain ports for additional compatibility? Is there a special material used in the grip? Was it designed with aluminum to keep the weight down? Tell your customer! Just as Amazon has criteria, so does your consumer base. Help them make the right choice because making the right choice helps with making a quicker sale as well as building a referral base. Make sure to keep the variations (colors, sizes, etc.) out of the description. The product variations will have their own section in the product listing, as shown in the example pictures (see the size and style differences in example listing) This can be colors or a few other options. We will be covering how to create these listings in its own blog. Just in case some of you skipped the introduction, I wanted to address page ownership. Some products will already have an existing page, which is owned by another party. Do not be afraid to use an existing product page, and make note of the existing ASIN/Title used by Amazon. If you find that you aren’t the first to create a product and that there are errors on the page, you will need to contact Amazon directly by following these guidelines. Read through the page a couple times to make sure you understand what information Amazon wants from you. Use the “Fulfilled By Amazon” or “FBA” service! 3rd party fulfillment centers are generally more expensive, and you run the risk of accountability. FBA also helps you win the “Buy Box”, so there are too many upsides for most businesses to turn down. Keep in mind that you are accountable for any mistakes made by a 3rd party you are involved with unless it’s FBA. Some categories aren’t unlocked to the seller by default and your products may need to be sold in one or more of those categories. These categories will require approval directly from Amazon, which you can find instructions here on setting up your request(s). You need to keep the ASIN (Amazon Standard Identification Number, or Amazon’s assigned version of an SKU/EAN) logged with each product in your inventory spreadsheet. This will help you communicate issues with Amazon down the road, and more importantly, help you identify products quickly and accurately when interacting with customers. Study what your competition is doing on their pages as well as the formatting for popular items sold on Amazon. Determine if the product pages from your competition are on par with the quality of pages you see for popular products. If they are, attempt to emulate their choices in your original product pages (e.g. If you sell a type of leaf blower that no one else sells, research how other leaf blowers are presented!). This will help ensure you aren’t missing points and helps takes some stress off your shoulders. Browse the Amazon Seller Central Forums for nuanced tips and discussions. Even if you sell using Advantage, the Seller Central forums will have solid advice geared toward how you present your products, as well as how to manage your interactions with Amazon and customers. Stay on top of your message center and returns! Arguably your #1 priority. Once you begin selling, you should be on top of addressing all requests for communication with your business through Amazon. Being as much as 1-2 days late in your responses can be detrimental to the overall health of your account, on top of your company potentially receiving poor reviews from unhappy customers. Don’t let small issues such as replying to messages compound into an unrecoverable flag on your account. Always keep your inventory up to date! Amazon and other services can assist you in maintaining your stock levels but, ultimately, it’s your responsibility to keep products in stock. Update your spreadsheets, programs, your Amazon seller accounts, and keep on top of any 3rd party fulfillment centers. Amazon puts the customer first in most circumstances; it’s what keeps them at the top of the food chain. Understand that Amazon views sellers as having a privilege to sell on Amazon, not a right. Don’t patronize, don’t attempt to argue, simply take responsibility for your actions and ensure that mistakes aren’t made. All writing on Amazon shares the same ruleset, both in your product pages and correspondence with Amazon or customers. Keep your writing brief, concise, and do not patronize or embellish. Products are sold on pages which can be shared by multiple sellers. You can win the “Buy Button” on these pages by following Amazon’s product criteria, enlisting in the “Fulfilled By Amazon” service, and by keeping on top of communications from Amazon or customers. Your company is ultimately responsible for all issues pertaining to your sales, with few, nuanced exceptions. Amazon isn’t welcoming of the attitude of using their platform to learn how to sell. If you are using Amazon as your first ecommerce outlet, make sure to study up and ask questions on the forums when needed. Always maintain your inventory and logs as close to real-time as you possibly can. This prevents issues from compounding down the road. When you think of a good website, what criteria do you lay out to identify it as such? Are there specific color schemes? Is it easy to navigate? Personally, I find that it’s actually easier (and more concise) to note the negatives rather than the positives when discerning whether a website is of high quality. What I look for in particular is something we like to call “User Friction”. Think of the rules of friction itself: “the resistance that one surface or object encounters when moving over another.” When friction is applied to an object in motion with a stagnant surface, the object tends to slow down tremendously in most cases. When observing the fluidity of navigating a website, we are going to conceptualize our customers as an object which is slowed each time it hits a new object (in this case, directing users to a new section of a website). How we apply the term “user friction” to a website is by identifying all of the individual parts which slow down the user’s path from entering the website to the POS. Let’s go ahead and launch into some examples of user friction which can help you identify if your website is properly designed, as well as some tips to help rectify any mistakes. The search function on an ecommerce website is arguably the strongest tool in their online arsenal. Customers who know what they want are going to expect that they find the product NOW; rather than later. A strong search bar isn’t simply a box which is easy to locate, it encompasses the strength of the entire search function built into your website. To make your search bar as effective as possible, products should be categorized properly, use concise names and descriptions, and narrow the search based on the number of keywords entered. Try not to use characters that aren’t readily available on the keyboard to the most computer illiterate users when naming products. Using these characters can cause certain search functions to ignore the correct product. Don’t make your product titles excessively lengthy. If the products are listed on your website, try to keep as much information as you can in the description. Keep important identifiers such as color or dimension in the title as contextually appropriate; taking a look at Amazon listings can help you with forming the titles for your products. Search functions will sometimes include a search on every keyword entered into a query, meaning that “small brown dog bed” will compile a search for every individual product containing *even one* of these words. Customers performing a search aren’t interested in delving through your catalog; they just want to view at most ten or so products. Your navigation bar will invariably be used by people who are intrigued by your website. Sometimes during the uploading of content onto the website (products in particular) the content isn’t placed within categories, placed in the wrong categories, or the sheer volume of categories is so high that it feels impossible to navigate the entire website without taking eons. All of these mistakes cause the customer to spend extra time attempting to search through the catalog, meaning that there’s extra chance for the user friction to become enough that the customer leaves the website all together. Create broader categories to filter content through. If a customer intends to find a “small brown dog bed” via browsing your website, it’s far more intimidating to navigate through (Pets -> Dogs -> Small Dogs -> Household Items -> Beds -> Brown Beds) than (Pets -> Dogs -> Beds). Don’t fret if this makes a category list longer, it is mentally more attractive than diving deeper into subcategories. Approach creating categories as creating an easily solvable maze. When your customer enters this maze, the goal is to get them to the end as quickly as possible without frustrating them. Customers will feel satisfied with reaching the end quickly. Avoid creating too many categories by employing keywords in product titles and descriptions. If you are selling a book on figure skating, and it’s the only skating related book you have, don’t create “Skating”, “Ice Skating”, or “Figure Skating” categories. Leave it in the “Sports” category. This keeps the navigation bar from cluttering, and allows your refinement searches to shine. One of the website layouts that’s become popular in the last couple years is the single-page scrolling websites. They’re long, contain all of the website’s information, and are supposed to be sectioned to make navigation simple for customers. Some websites defeat this purpose by including, or entirely excluding, a navigation bar that doesn’t properly segment the data. This causes viewers to be unable to find what they’re looking for quickly and easily (contradicting the aforementioned goal of ease-of-use). If your website is a single-page-scroller, section it almost as you would a book. You wouldn’t want a restaurant menu at the bottom of the “About Us” section, since the navigation bar won’t bring you straight to the menu. Speed is of the essence with all websites, and exponentially so with single page sites. Refrain from placing too much content within a section. Bulking sections on a single-page site is particularly detrimental to the experience of mobile users, who account for more than 50% of Google searches. Poorly Composed Website: Think of the ball being dropped as the customer entering your website. As they navigate through the site, they’re constantly being stopped by misplaced product, erroneous categories, or even pages which were never completed. Each stop causes increasing user friction as they attempt to move to the POS. No one wants to gamble on finding information or a product they want, so don’t make the process into one. Properly Composed Website: This time, we’re going to remove 90% of the bars from the face of the bar. The ball naturally will hit fewer bars, which means that the likelihood of landing in the slot is substantially higher. The customer no longer needs to work towards landing on the goal they desire, so they’re not only more likely to reach the goal but are also more likely to return to the website again. Keep in mind that this isn’t the full list of issues a website may possess, but are instead ones which are the most impactful. Shoddy advertisements, poor color schemes, text font, and a plethora of less impactful issues can affect the experience of your customer base. If you are wondering about your website, there are some reliable ways to test your bias towards your setup. Third party viewers are the most direct way of challenging your personal bias. As with writing composition, having someone to review your product (in this case, your website) will help you catch mistakes or take a different perspective. Sit some friends, family, or colleagues down and ask them to navigate your site. Have them explain what they do and do not like, and try to have them explain why if possible. Write down what they say, and review their feedback after you’ve received a few points of view. Having this feedback is invaluable whether you are redesigning your website yourself, or can now give articulated pointers to the company you’ve hired to do it for you. You can compare and contrast by going back to the tried-and-true technique of reviewing competitors in your field. Google search some keywords dealing with your business, and look at the websites that pop up. Try navigating through these sites, and take note of what you do and do not like about the website, as well as your reasoning. As with the third party testers, your notes are invaluable in any reconstruction performed on your site. Hopefully, with these tips, you can identify potential issues with your website and act upon them accordingly. Don’t forget that simplicity always helps when in doubt! Amazon is one of those household names that isn’t restricted to any specific demographic of people. Buyers of all professions, locations, ethnicities, cultures, and hobbies shop at all hours of the day. All of us are aware of the seemingly infinite number of products available and know that it can be overwhelming to discover the best option when looking at competing products. 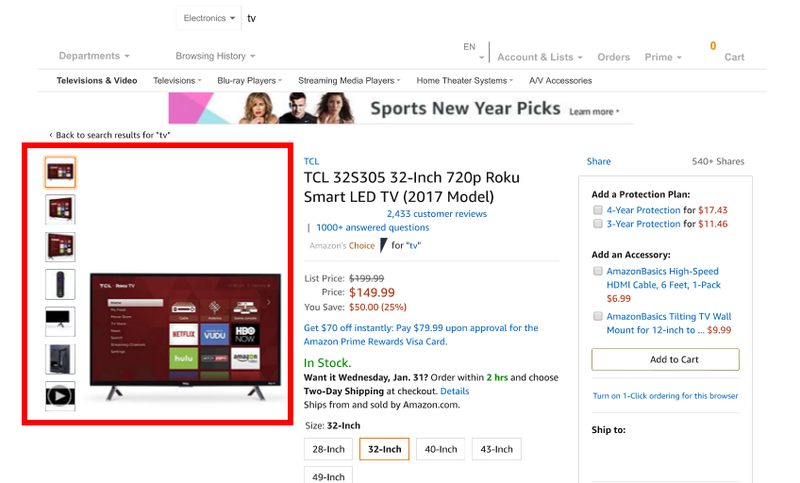 Amazon’s solution to customers feeling bombarded with options is to challenge companies to win the “Buy Button” on a product in addition to the general refinement options such as prices and ratings. This means that companies can no longer simply list items and hope that the good name of the product wins their buyers - they must actively compete to be the favored in the marketplace in order to attract with consistency. Not only does this prevent a general monopoly from being established, but it forces companies to strive to outperform the competition. 1) Actively read then POLITELY and PROMPTLY respond to your customers’ messages. I wanted to keep this point at the top as it’s an issue which surprisingly crops up constantly within the small business community. I, as well as several of my colleagues, have witnessed businesses who are late to respond, condescending to their customers, and sometimes even flat-out never respond to queries. Sure, some customers will be rude or may not properly phrase their questions, but this doesn’t excuse a professional from employing proper etiquette in response. Keep to the message tame and explain as concisely as you can what the solution your company will provide is going to be. Respond within a 24-hour window, even during the weekends. Add the appropriate apps to your phone to check your messages, or even hire a dedicated staff member to handle all customer relations. Make sure to respond concisely, quickly, and politely. Amazon prioritizes its customer base, and in turn, you should be matching their priorities to ensure all parties involved are happy. Similar to how point #1 is repeatedly offended by small businesses, the concept of quick and reliable fulfillment to the customer isn’t always a priority for some business owners. With Amazon, you should keep in mind that the direction they want to take with all products is their “Prime” selection, which offers 2-day shipping to subscribed customers. Aim to make sure that your fulfillment center is processing purchases and shipping *the same day* whenever possible. FBA is the most surefire way to ensure success, as it’s done by Amazon themselves. Not only are you insured reliable service for yourself, but you’ll be on Amazon’s good side for working side by side with them. 3) Keep your products in stock. There’s a novelty idea that selling out of a product means it looks good to potential buyers who see that the demand has actually overcome the supply. In general, and ESPECIALLY when it comes to Amazon, running out of stock causes customers and Amazon both to view your company as someone who’s unprepared for the appropriate volume of orders. If you DO have a limited stock which cannot be replenished quickly, make sure you are properly maintaining inventory on both your data management programs AND AMAZON ITSELF!!! It’s easy to update one but not the other, so make sure you or your employee is disciplined in ensuring BOTH are always up to date to avoid being dinged for late shipments, A-Z claims, or chargebacks. 4) All product listings must be as accurate as humanly possible. For those with a smaller volume of products, this point seems rather obvious and something that has no downside. Those with a large volume of products (several hundred or more) will see that creating and editing massive bulks of products can be tedious and be viewed as pricey, especially if having to hire multiple data-entry staff members. As with any other portion of your online sales strategies, you cannot afford to drop quality on even the small details such as listing your products with accurate descriptions and photographs. Customers have been trained to look for stock photo quality images and descriptions which have long detailed descriptions as well as bullet points to evaluate the product without having to leave the page. Amazon provides fantastic details on listing your products to their standards, and there are non-official Amazon resources created by super-users which will help break down all the mentioned and unsaid criteria which Amazon operates with. 5) Use the available resources to maintain strong account health and ratings. Amazon Seller Central Forum. Seller Central is considered Amazon’s “elite” sellers. Go to the forums occasionally and read up on the various topics presented by the users. Some will be proactive and help you understand how to improve, and others will be mistakes made by other businesses which will help you avoid making mistakes which can be detrimental to your seller account’s health. Several of the users have posted thousands of replies, so make sure to keep an eye out for them in particular. Amazon's FAQ for Vendors: You can go to Amazon’s vendor FAQ to learn about anything to do with listing your products. 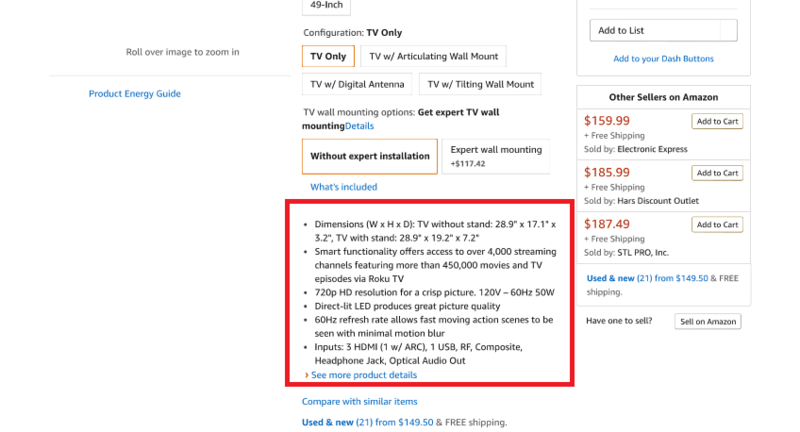 You will notice that there are several other options on the tables on the left side of the screen; I would suggest using these to understand all components of Amazon’s operation so that your account health isn’t tainted by being ignorant of the rules. Amazon's Buyer-Seller Messaging Service Guidelines: Amazon has provided their guidelines and general how-to for vendors sending messages or replying to buyers. This messaging method allows you to directly respond via their user interface, or even route emails to and from your email of choice through their system to allow ease-of-use while maintaining the appropriate level of security for both the buyers and vendors involved. Amazon's "Fulfilled By Amazon" (FBA): Amazon’s fulfillment is one of the strongest choices you can make for your business if you don’t have an already tried-and-true fulfillment option of your own. You send them some inventory, and they’ll ship everything for you without any hassle. FBA sends you inventory updates and requests so that you are always in stock with them, and even helps you ship for platforms outside of Amazon itself (such as your company’s website). The page linked contains information about all of the frequently asked questions directed to FBA. One of the common thoughts from small businesses is, “If I have a website, why should I spend money to get a new one?” If a website was something that simply was checked off on a to-do list, then the thought would be correct; however, it’s more complex than that. Let’s delve into what makes a website different from traditional marketing which has stood the test of time. Just because you have it, doesn’t mean it’s good. For a new perspective on the topic, let’s view the average brick-and-mortar store. Keeping a relatively modern appearance of the storefront coupled with contemporary advertisements will allow most small businesses to garner traffic without fret. Some businesses can get away with the niche market of being “old-fashioned”, but this is reserved generally for businesses who market strictly towards older products and timeframes. With these older stores, you can take a building and aesthetically recreate the look and feel of an era (with modern technological implementations such as plumbing and checkstands) without destroying the functionality of the store. Alas, when it comes to websites, the concept of “retro” doesn’t apply. There has been exponential evolution in websites from the early days of the internet up until now. Much of the functionality of older websites is obsolete, broken, or even entirely phased out of use, and cannot be operated by modern web browsers. Many of these old websites had archaic designs beyond the aesthetics of older times, to the point that their functionality is the website equivalent of keeping a bald tire on your car in the rain. Websites using the “Flash” plugins are one of the most common and frustrating examples of why there’s not only a “should update” but a “MUST update” when it comes to websites. Flash was used for most of the early 2000’s as it was the first streamlined way for people to engage with animated features on their websites, as many of the modern tools used hadn’t been developed yet. While Flash was a tool which laid the foundation for better tools to be created, it certainly hasn’t aged well. It’s riddled with performance issues, and even worse, security issues. The issues are so bad, that Adobe will have entirely retired Flash by the end of 2020. Imagine if your storefront had a cash register which sometimes doesn’t work, and allows random people to simply reach in and grab a printout of the credit card numbers of your customers! How would you feel about shopping at a store with those issues? A website is only good when it’s attractive and functional. “But my website doesn’t employ Flash or other security risks!” you might say. Old ideas such as design don’t always translate well into modern times, especially when they cause their customers to need to spend more time figuring out how to shop, than _____ actually shopping. Using simple HTML builds, without dynamic sizing or wonky color schemes, is a common occurrence in websites which haven’t yet been updated. The site will appear boring, unimaginative, or will simply scare the customer away almost immediately. Imagine trying to decide between a couple local BMW dealerships. You arrive at the first one, which is crisp, clean, modern, easy to navigate, and provides answers to all of the questions you desire. As a good shopper, you decide to go examine the competition to see if you can get a better deal. When you arrive at the second location, however, it only takes one look for you to turn away and go back to the first shop. The walls are crumbling in places, the floor is missing tiles, it reeks of ammonia, and half of the showroom has empty platforms where the cars were supposed to be. It’s clear to anyone that the first shop deserves their business, while the second shop’s owner scratches their head wondering why there’s no point of sale. Show the same pride in your website as you do your company. Remember that ultimately your website is the digital showroom for your company. The same sense of pride should be felt when you open your website, as you would opening the doors to your physical storefront. Stating that you’ve met the minimum of simply “having a website (showroom)” is equally as unacceptable to customers online, as it is to those who show up in person to a specific location. Taking care of your digital showroom is simultaneously attractive and shows that the owners actually care about the product and customers they’re selling it to. Amazon is a company which has become one of the most frequented household names in online marketing. There’s thousands of decisions that the company has made, but one action in particular drove them to success: the pursued trust with their customer base. Amazon stands as one of the most reputable places to shop in marketing, regardless of being online. There’s plenty of competitors who have thousands of products, and even more who existed long before Amazon was much more than a bookstore, so we know that selection wasn’t the reason that Amazon became a prime example of online business. Customers can go to Amazon and know that they’re going to receive the product, often at a highly competitive price, at a fast rate, and most importantly, with Amazon backing guarantees on the products they sell. As a consumer, you know that you can consistently receive quality service from Amazon itself, even if a third party vendor is performing lackluster on the site, thus eliminating the unease which frequently surfaces when dealing with alternative stores without established names. Approach your customer’s experience as if it was you shopping at the store. What red flags would turn you away? What services would cause you to be loyal to a company? How would you like the employees to treat you? Don’t focus on nickel-and-diming your way through deals with them, as the repercussions are stronger now than ever with online ratings. The general rule of thumb for reviews is that most people who feel strongly enough to review did so out of a lackluster interaction with the business they’re reviewing. Treat taking the hit for a return as a literal “return investment”, where a now happy customer feels secure purchasing from you, or at the minimum won’t leave a disgruntled review. The more a customer feels like they’re receiving the services they desire, the more likely they are to drive good reviews and referrals towards your company. Imagine this scenario: You friend takes you to a restaurant which you have never been to before. You pick up the menu, knowing at least that you want a sandwich, and open to the first page to view the table of contents. Proceeding to turn the pages, you begin to notice that not everything matched the table of contents. There were pages with dishes belonging in other categories, spelling errors, lunch specials spread intermittently throughout, and some pages missing entirely. You then ask the waitress about their sandwiches, who then proceeds to describe four sandwiches and eight burritos to you, half of which aren’t even listed in the menu. Ordering food has turned into an ordeal you have to fight for a resolution to, leaving you disgruntled and never wanting to return. This scenario is the restaurant equivalent of what happens to customers viewing your website if it has a sub-par user experience. The menu and waitress, which are the equivalent of the navigation and search bars, weren’t able to perform their jobs properly because their employer didn’t do their job. Likewise, you as the owner of a website need it to be able to get customers from the menu to the point of sale as quickly and painlessly as possible. Your website should be taking customers a couple minutes at max to find a product, and even less time to learn the navigation. Some will, of course, spend extra time sifting through your entire catalog to see if you offer additional interesting products, but the majority of web users simply want to achieve their objective as quickly as possible. Examine your website's current layout, and what it has which may cause extended or more difficult stays artificially. Try to look for unwanted qualities such as hidden pages, too much categorizing, or a lack of a working search function. “People are looking at my website, but I’m not making sales”. Business owners of all markets and all demographics recite this same slogan over and over again. We, at Osprey, look at their websites and often find them to be lackluster; but some of the sites are well-designed. Why aren’t they driving conversion? Businesses are not strictly built on profit. To answer the previous questions, you first have to look at what propels consumerism. The concept itself if rather simple, yet it evades notice for many: Make the customer happy, and they will reward you. There are three criteria which can help you easily set goals as a business: Revenue, Reviews, and Referrals. Let’s quickly dissect what these three are. Revenue: We all are familiar with the ultimate goal of every business in existence, and that is to earn money. It’s extremely easy to get caught up mentally in the earning, however, and it causes many business owners to make mistakes without realizing they’re destroying revenue opportunities by obsessing with making a few extra dollars. This mind train has single handedly caused the death of thousands of businesses. To create recurring revenue through your website, you’ll need to aim for more than a one-time transaction by creating a demand for the next two R’s. Reviews: Possibly the most undervalued concept to those unfamiliar with online marketing, reviews are becoming one of the single most impactful tools for your business. Reviews are easily accessible at any time, which drives the importance of maintaining a high review average. You’re going to receive both positive and negative reviews, so your job is to make the majority of your customers happy enough to at the least not leave a negative review. There’s an importance in the quantity of reviews you receive, but drastically more meaningful is the quality of your average. Referrals: When your business is referred by one customer to another, you are knocking it out of the park. Customers who are happy enough to refer you to one person are likely to begin referring you to everyone with even a mild interest in your market. This means you have accomplished both recurring revenue and reaching a broader market. Back to the original statement, “People are looking at my website, but I’m not making sales”. We’ve looked at the three criteria to pursue, and the recurring theme is that you want to make your customers happy with their experience. Your website should reflect the passion of your product as the best possible solution for your customers. As an example which everyone’s familiar with, observe Amazon’s website. It employs intuitive navigation, clean and simple design, and a streamlined sales funnel. If you know what you want from them, you can be purchasing a product within a two minute period at most. So what did Amazon do to cause such a strong name for themselves?